Home is where the heart is. But it’s also where the ‘om’ is when the inaugural h’OMgrown Fest kicks off in Pemberton on Friday. A celebration of whole being, whole food and whole community, the festival will feature three days of yoga, wholesome food, music, nature meditations, educational talks and workshops. Tanya Di Valentino, the festival founder and director, said she wanted to create an experience where people could access the tools for self-empowerment and the skills to pursue what they believed in. 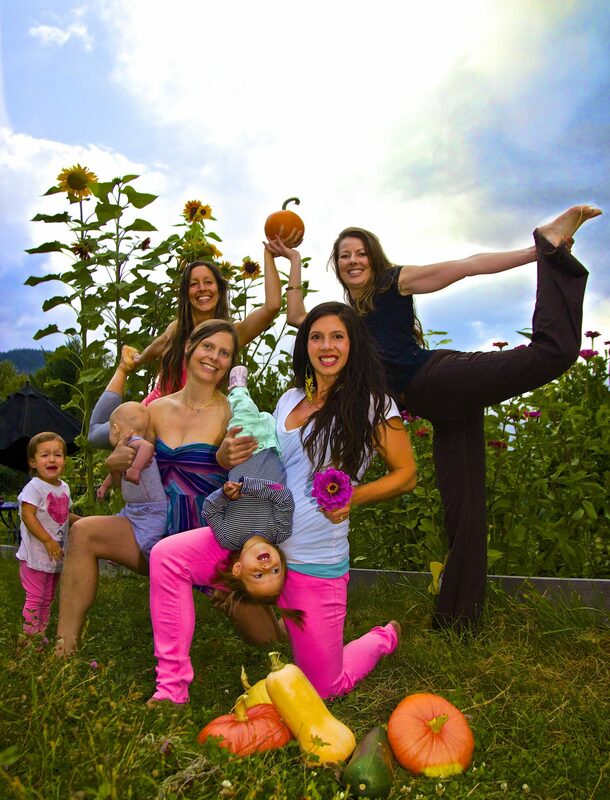 From the top left: Tanya Di Valentino and h’OMgrown teachers Lisa Donovan, Laura Zgud and Rya Letham. Photo by Mike Zgud. Di Valentino chose Pemberton both because it’s her home and because the community already shares many of the values she had in mind when she developed the festival. “Many of the people who live here are living the outdoor recreation, mountain lifestyle everyday. They are buying homes here and starting families, growing their own food and sharing it with their neighbors,” she said. The workshops will feature something for all levels, and Di Valentino encourages everyone—from lifelong yogis to first-timers—to come out. h’OMgrown Fest will take place Sept. 12 – 14 with most of the workshops held at the Pemberton Community Center. Register here and check out the website to learn more.